Aeraulic ventilation’s system and air exchange with moisture control, indoor and outdoor air recovery filtration, air -to - air heat pump and heat recovery device. The air is treated for heating and conditioning and it’s punctually distributed with ducts at sight integrated with electrical and sound system devices. 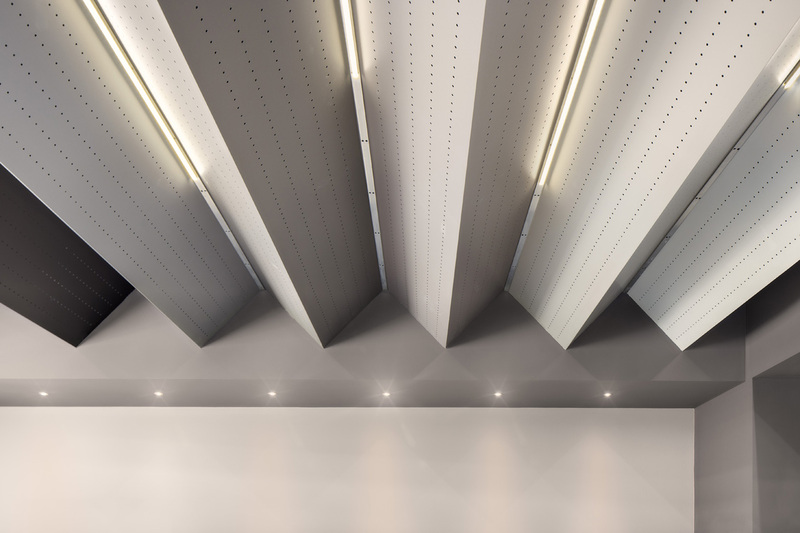 The ducts in the meeting room are triangular, made with painted metal sheet in micro perforated galvanized steel and hidden bracket while the ones in the customer reception office are made in micro perforated circular galvanized metal sheet and ceiling bracket. 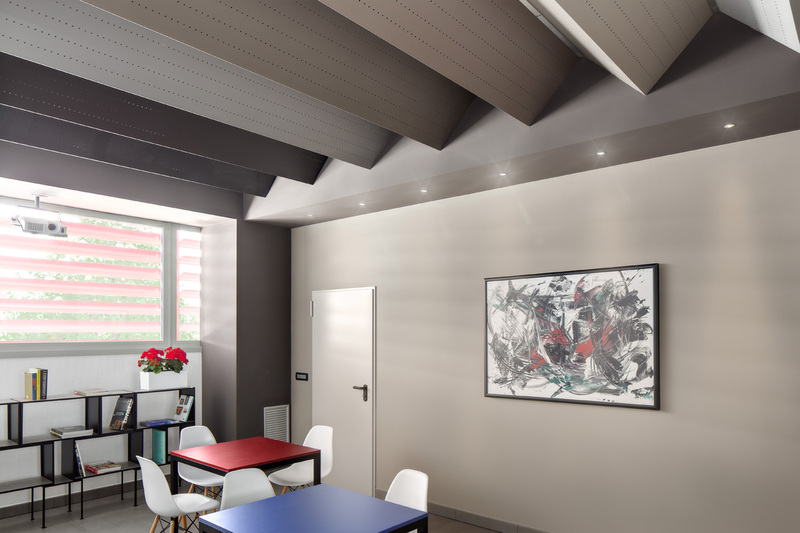 The diffusion system has been designed with the architect Chiara Preti and painted by the artist Mauro Malafronte.